January 30, 2014: Ambassador Dr. Sayed M. Amin Fatimie and the Embassy of the Islamic Republic of Afghanistan hosted a reception and a study session for a group of esteemed participants from the United Nations Institute of Training and Research (UNITAR), OXUS, and the Afghan-American Chamber of Commerce. Present were such esteemed figures as H.E. Engineer Minister Yousef Pashtun and Dr. Asadullah Mattin. 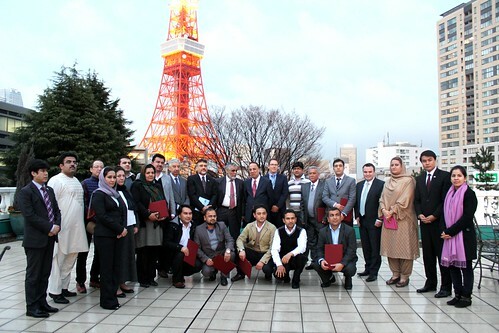 The session is part of an overall capacity building program focusing on a number of industries. This current incarnation focuses on agricultural issues. 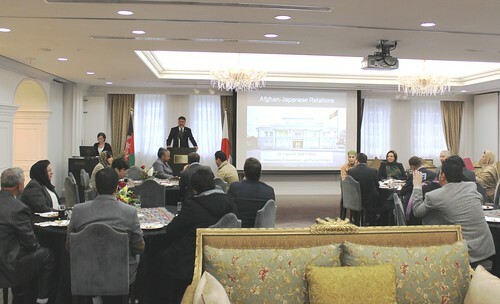 Ambassador Dr. Fatimie welcomed all the participants and made an opening speech in which he added further significance by describing Afghan-Japanese partnership past, present, and future. To read the Ambassador’s speech, click here.